Classical Beer Jam: Summer or Bust! The Classical Beer Jam brings together two of our favorite things: live music and local beer. It’s a festive evening of classical performances, craft beer tastings, trivia and other games. 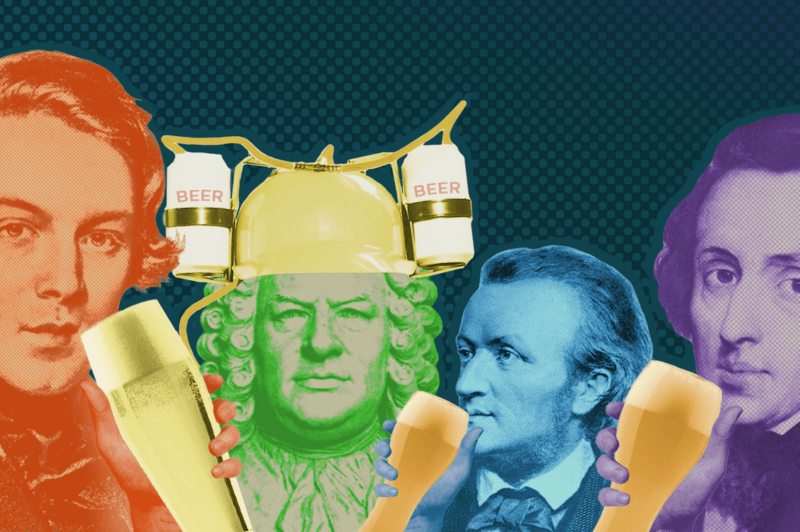 You’ll try five different beers and enjoy four musical acts, all together in WQXR’s living room, The Greene Space. For the next installment, we’re calling the show “Summer or Bust,” since we’ll have music for the season, stories of composers on vacation and beers that pair beautifully with barbecue. Our performers will include the pianist-composers Conrad Tao and Gregg Kallor, Instagram sensation Drew Forde a.k.a. That Viola Kid, rising mezzo star Samantha Hankey, tenor Spencer Hamlin, and classical magician Igor Lipinski.